Celebrate with Alta Vista de Boracay as they welcome a new avenue to reach out to all of you wanderlusts! The Alta Vista Blog is the latest guide to quench your thirst for all things travel. It's the go-to book for couples, families, groups of friends, and even singletons. Ultimately, if you love to go and visit new places, this blog is for you. Alta Vista De Boracay is a sanctuary rested on a tropical hillside in the beautiful island of Boracay. It offers world class amenities, authentic adventures and boracay activities, as well as total rest and relaxation. It's a place for adventurers and romantics who are seeking new places! The Alta Vista blog aims to cater not just your travel plans and hotel bookings in Boracay but also to provide a complete source of information to help you plan your future getaways, wherever that may be. It's the perfect guide companion for a worry-free escape. Tips and ideas in travel planning and booking. Feature posts on where to go during your next vacation and how to save up for your dream destination. Reviews of places, activities, food, and hotel accommodations which can help you in your decision making. News and updates on the latest travel trends plus more travel-related blogs to keep you inspired and moving. Read more and be a travel pro in no time. Make your planning days easier and quicker. Prepare ahead of time and make your stay worth every while. 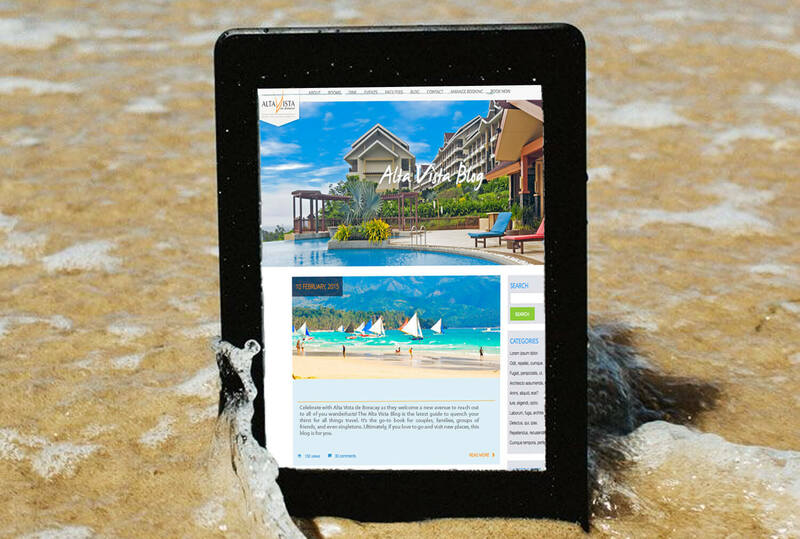 Let the Alta Vista de Boracay Blog travel with you and take you to new places. Participate and send your thoughts on travel, too! Connect with the team and share your next vacation plans.